Dahab is a town in Egypt, located some 85 km (53 miles) north of Sharm el-Sheikh on the Gulf of Aqaba, near the southern tip of Sinai. It is a place that many have fallen in love with over the years, and return to time & time again. Dahab was once an isolated coastal village inhabited only by the local Bedouin. 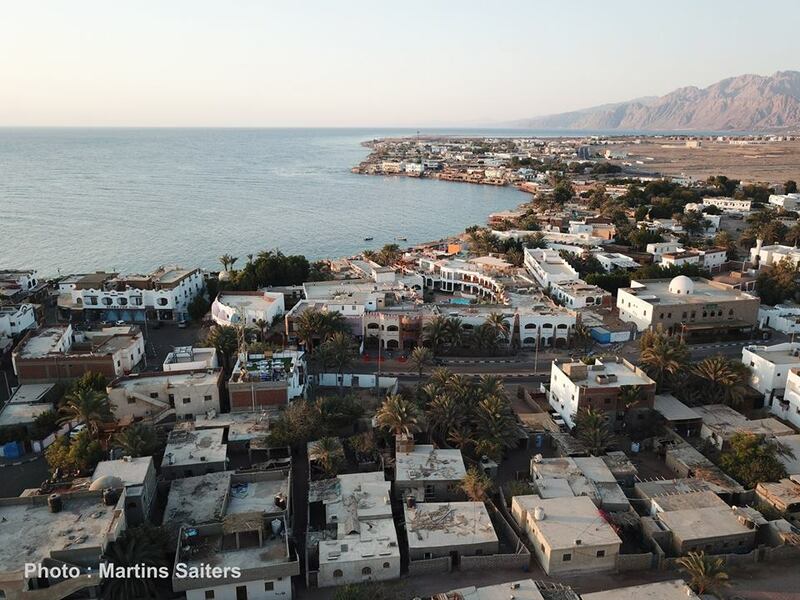 As little as 30 years ago, there were fewer than 30 Bedouin families in Dahab. Like the Bedouin inland, they had a self-sustaining lifestyle but in Dahab this was based on fishing as well as traditional goat herds. 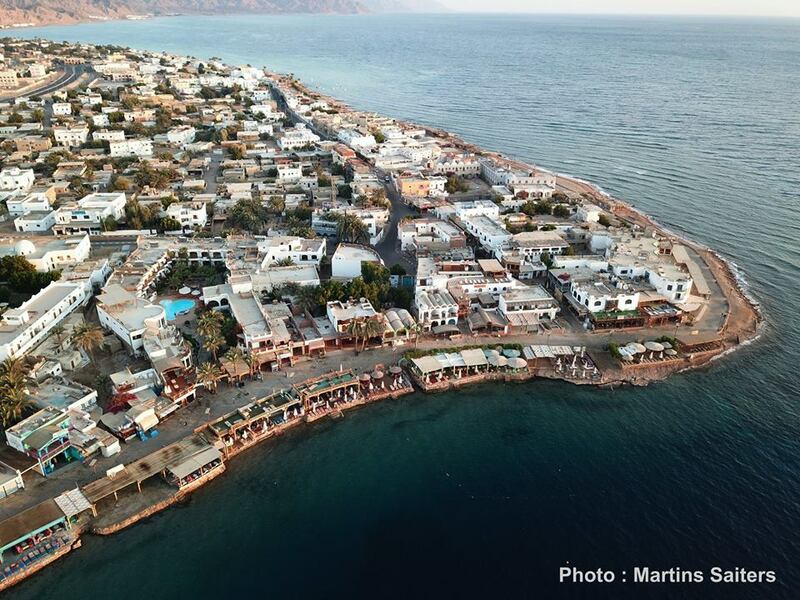 During the summer, many inland Bedouin came to Dahab for fishing, collect dates and enjoy life by the sea. To this day, favourite presents from Dahab (for the inland Bedouin) are dried fish & dates. 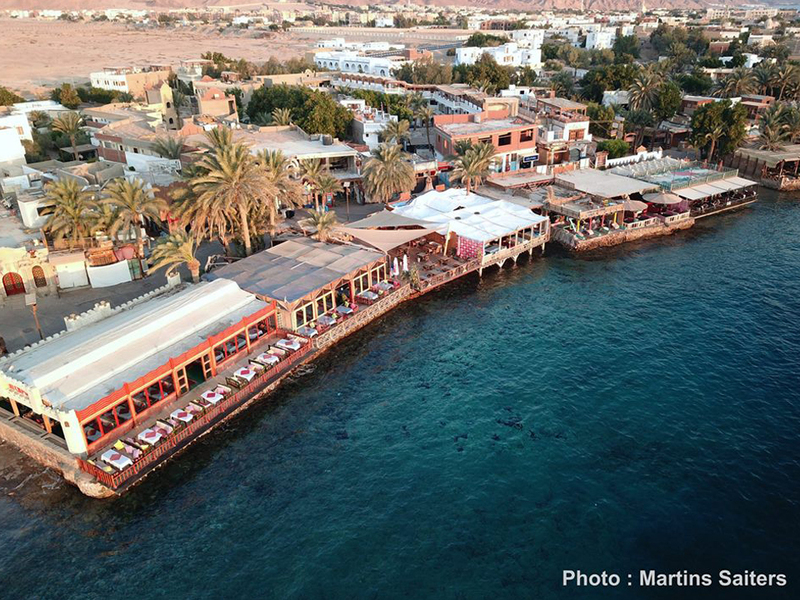 Dahab's isolated location, idyllic setting and laid-back Bedouin hospitality made it a favourite destination for all who stumbled upon it. In the beginning (1970s), this was mainly Israeli soldiers or people from the kibbutz during their leave. 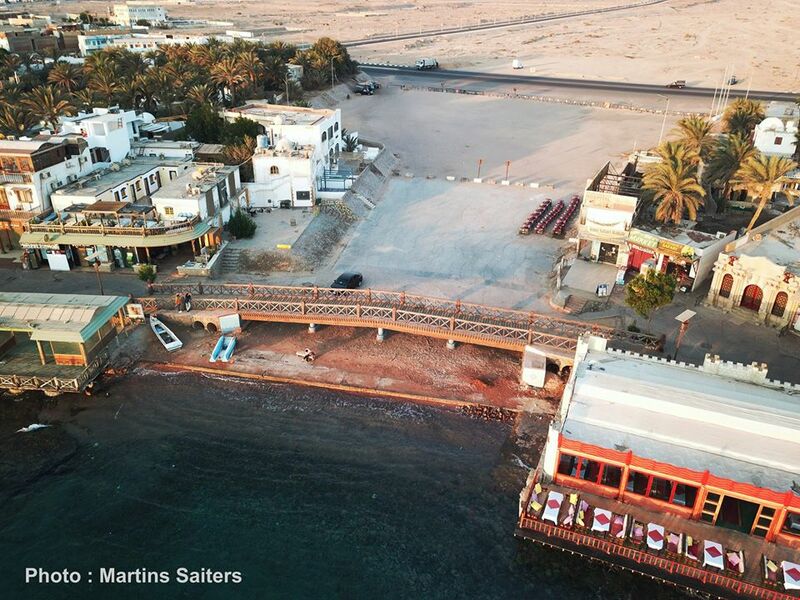 During the 1980s it turned into a hippie hangout, and in the 1990s adventure enthusiasts from around the world began to discover Dahab's natural wonders. 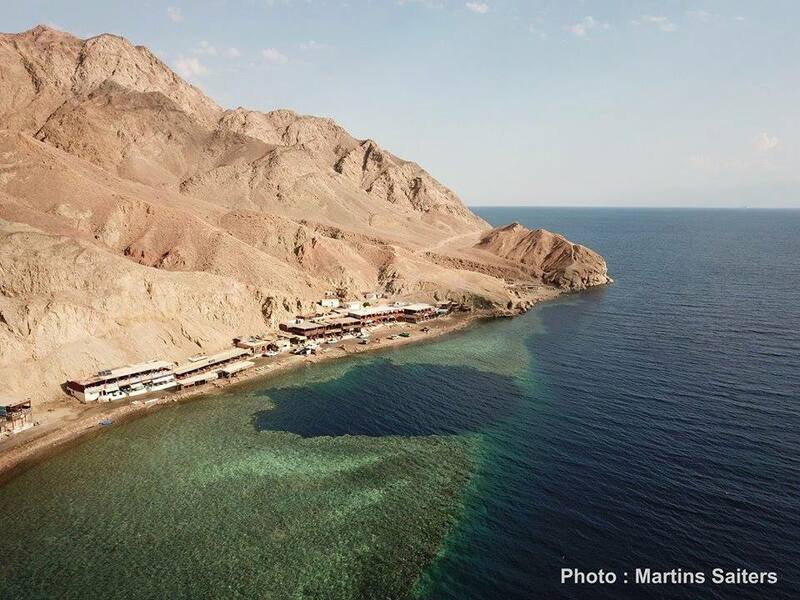 The combination of Red Sea & Sinai desert make Dahab perfect for scuba diving, freediving, world class windsurfing, rock climbing & of course desert trekking with the Bedouin. Add to this cheap accommodation on or near the beach, inexpensive food and drink and a relaxed atmosphere, and you have a heady enticement for the young and young at heart.